KANSAS CITY, Mo. – Louisiana Ragin' Cajuns men's basketball standout Bryce Washington was among a group of student-athletes from all collegiate divisions recognized as the National Association of Basketball Coaches (NABC) announced on Tuesday the 2016-17 NABC Honors Court, recognizing men's collegiate basketball student-athletes who excelled in academics during the past season. Washington, a New Orleans native and St. Augustine High product, was one of eight student-athletes from in-state institutions named to the list that recognizes the talents and gifts possessed off the court and the hard work they exhibit in the classroom. A 3.25 student in accounting, Washington averaged a double-double for the Ragin' Cajuns in 2016-17, scoring 13.5 points while grabbing 11.2 rebounds per game. The 6-foot-6 forward was named a second-team All-Sun Belt Conference selection after finishing as the Sun Belt Conference leader for the second straight year in field goal percentage, finishing 173-for-287 (.603) from the floor. 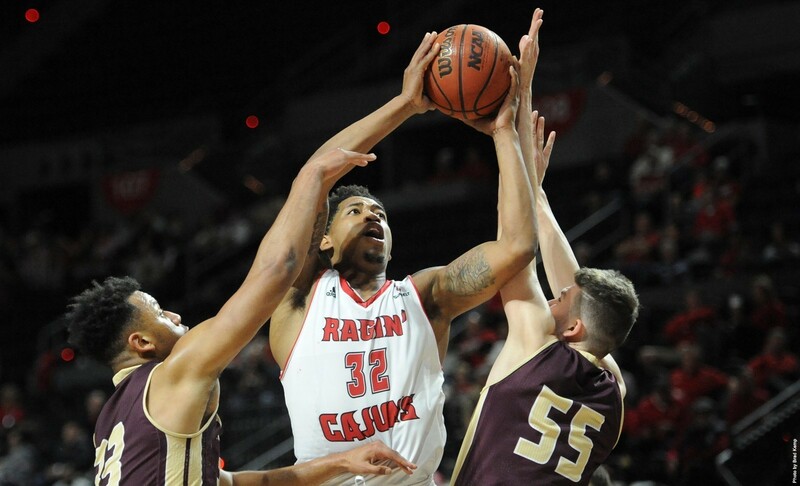 Washington collected 369 rebounds during the season for Louisiana – the fifth-most in Ragin' Cajuns history – and he posted the sixth-highest field goal percentage in a single-season in school history. He played and started in all 33 games for the Ragin' Cajuns and led the team in minutes played (35.1/gm) and blocks (0.8). Washington finished the season ranked in the top 5 nationally in double-doubles (22), rebounds per game, offensive rebounds per game (4.00) and total rebounds (369).